Richmond, VIRGINIA – January 4, 2016 – Chippenham Pediatrics officially announced today that its name will change to Commonwealth Pediatrics effective immediately. The well-respected practice has grown to serve communities in and around Richmond`s Southside region, and the practice`s name change is designed to better reflect its reach outside the Chippenham area. While the change was not an easy or quick decision, team members now feel the new name more accurately reflects the practice`s capabilities as it grows. The name change comes as Commonwealth Pediatrics prepares to open its third office in Midlothian in early 2016. The new office, located in the Westchester Commons Shopping Center at 15400 WC Commons Way, will open its doors to new patients on January 4, 2016. 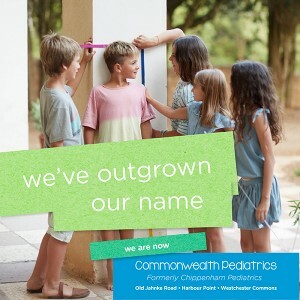 Commonwealth Pediatrics attributes the growth of its practice to the quality of care provided by its dedicated and well-loved staff, some of whom have been with the practice for decades. 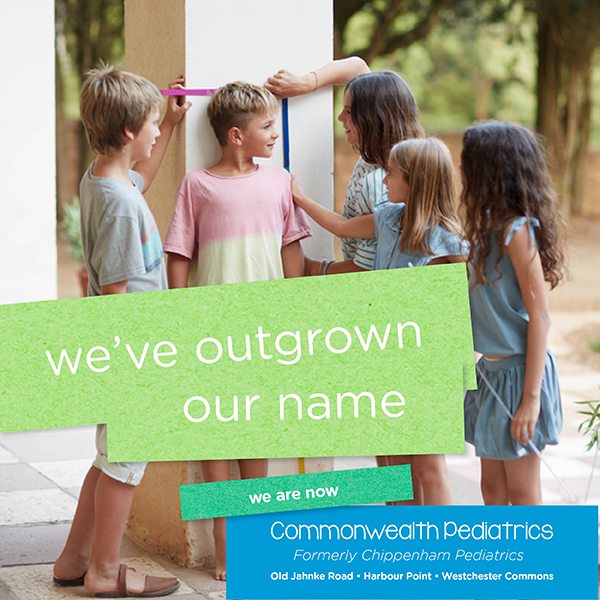 As it grows, Commonwealth Pediatrics remains committed to providing the best care for all its patients. Commonwealth Pediatrics – formerly Chippenham Pediatrics – is a physician-owned partnership and has been providing award-winning health care to children and adolescents in Richmond and Midlothian for over 40 years at their three area locations. Their accolades include Top Docs 2012, a Family Favorite award from Style Weekly, and a ranking among the top pediatric practices in Virginia from Virginia Living Magazine. More information is available at commonwealthpeds.com or by calling (804) 320-1353.